Our team is ready to handle your emergencies 24 hours a day. Our #1 job concern is for the health and safety of the building occupants. We accept all insurance and can work with your insurance company directly. However, we do recommend that you to let us come to your home or business first for an Evaluation and Written Estimate so that we can properly assess the damage done to your property. 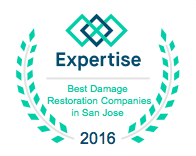 Water Damage Recovery guarantees all of our services. If one of our cleanup or restoration services is not done right for whatever reason, we will come back, fix it and make it right, Guaranteed. Our service team will be dispatched to your location immediately. No matter the cause of your property damage, we can quickly clean and restore everything back to its safe, pre-incident condition. Plus we can do so affordably because we offer value-priced bids without sacrificing quality. We do not mark up our work 10% and then give you 10% off and we do not sell you any unnecessary services. What we will do is do the job right, at a fair price, quickly and with the highest quality. We will also help you arrange any additional services for reconstruction or replacement that you may need. Our mission at Water Damage Recovery is to give you affordable, superior customer service by well-trained experts and quickly take care of any restoration project, residential or commercial. We’re not looking to see how much money we can make from each customer – we’re looking to see how many job referrals we can get from each satisfied customer. Water Damage Recovery was created with the client in mind to provide an unsurpassed level of workmanship at a competitive, reasonable price. WDR is a family-owned and operated local company with two locations to insure a quicker response and better service to San Francisco, Oakland and Stockton. Over the years we’ve helped thousands of Northern California families and business owners get their lives and businesses back on track in a timely manner. Additionally, we are a member in good standing of the Better Business Bureau and have a flawless A+ rating. You can also read what some of our clients have to say about us here. Our friendly customer service staff are very knowledgeable and can answer all of your questions. We always strive to provide a rapid response backed by outstanding customer service. Customer service is our highest priority at Water Damage Recovery and we go to great lengths to make sure we leave our customers satisfied. Our entire team is focused on providing maximum satisfaction for our customers. And, because it bears repeating: We guarantee all of our services. If it is not done right we will come back, fix it, and make it right, Guaranteed. We have also recently been noticed with “Expertise”. A company that finds top professionals in each city to help people find and hire the best in their fields. We can help you clean up and restore your property back to its safe, pre-incident condition. Water Damage Recovery offers 24/7 service, every day of the year. Call now for your free evaluation and written estimate.